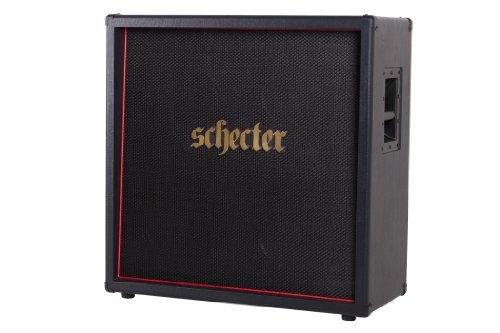 The Schecter Stage Series amplifiers are designed with features for the working musician. Created in conjunction with legendary amp designer James Brown, these powerhouse instruments come armed with features like Celestion Speakers and premium matched tubes. The Stage Series are sure to satisfy even the most discriminating tone enthusiast. Available in both Head and Combo formats, the Schecter Stage Series will deliver the sound you need wherever you need it gig after gig! Schecter Guitar Amplification where individual soul, creates your individual sound! Check out the Stage Series Hellraiser Stage Deluxe 4x12 Straight Cabinet ! If you have any questions about this product by Schecter, contact us by completing and submitting the form below. If you are looking for a specif part number, please include it with your message.